I have to admit – I started to use Ibotta and saved an additional $2 off this order somehow. HOWEVER, I don’t really get the app yet. Basically, you select the deals you want, make the purchases as you normally would, and then scan the receipt into the app. WHAT HAPPENS AFTER THAT IS ANYONE’S GAME? I’m clueless. If I included those savings… then I really spent $10. But, like I said, I’m clueless as to how Ibotta works. I will let you know when something happens. 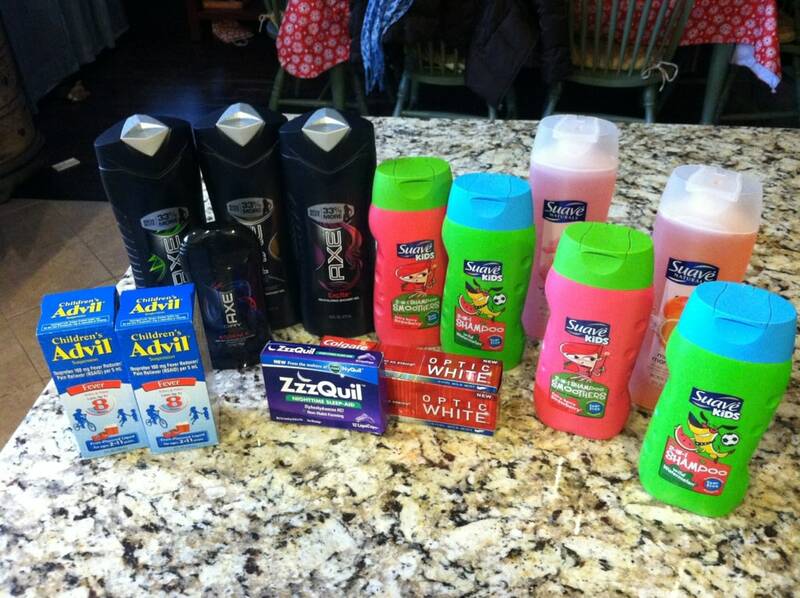 Click here to check out Living Rich With Coupons’ weekly round up for CVS. I only chose a handful of what’s available and used my ECB bucks from last week to bring down my total. In the end, I walked away with $70 worth of goods for $10 (if you include Ibotta rebate). And did I mention I went ALONE. Like… I drove myself for the first time in 4+ months. HOLLA! It felt good. It felt REAL good. Although if you saw me, you’d think it was rather painful. I am waddling like a duck… or a penguin… or whatever other animal you could think of that has an awkward motion. I’m heading to Target today or tomorrow to take advantage of some of their weekly deals – though I don’t enjoy couponing there. I never combine Target coupons with Mobile coupons with manufacturer coupons because the staff in Westbury is CLUELESS. They always make me feel like I’m a criminal when I try to save money and I cannot appreciate that. I just wish these big stores would take the time to educate their staff on their coupon policy. Odds are the customer is RIGHT. We are like tax accountants. We have the laws memorized to a T. LOL!